Sara Mohr-Pietsch explores what lies beneath Bach's music with pianists Angela Hewitt and Gabriela Montero, conductor Steven Devine, physicist Tara Shears and cellist David Watkin. Sara Mohr-Pietsch investigates what lies beneath the 'Spirit of Bach', the hidden elements to this well-known and well-loved composer, which are discovered by performing his music, studying his scores and examining the philosophies his music exhibits. In her quest, she interviews one of the world's leading Bach interpreters, pianist Angela Hewitt; hears from cellist David Watkin about his life-changing recording of the Bach Cello Suites, examines the connection between antimatter and Bach's cantatas with particle physicist Professor Tara Shears and harpsichordist/conductor Steven Devine of the Orchestra of the Age of Enlightenment; discovers the mathematical patterns which structure Bach's music, with Marcus du Sautoy. Plus, jazz musician Matt Herskowitz, and classical pianist Gabriela Montero share their thoughts on how Bach has influenced their music-making. 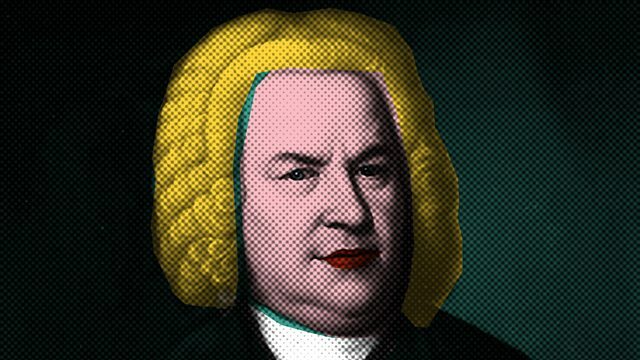 Exploring why music by the Baroque composer J S Bach resonates deeply with so many.